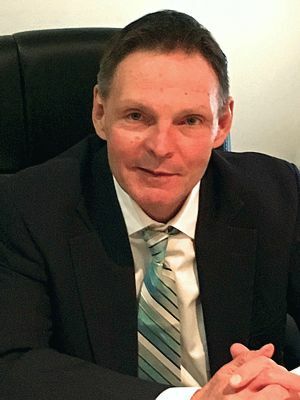 Often referred to as the Best York PA Divorce Attorney, Best Family Court Lawyer, or Best Family Law Lawyer, David C. Schanbacher offers answers and piece of mind during these painful and challenging times. Families and children can face the toughest situations where permanent emotional damages can result. Divorce attorney Schanbacher seeks to offer calmness and stability during these potentially tumultuous circumstances. After receiving his J. D. degree from Duquesne University School of Law, Pittsburgh, Pennsylvania, David graduated from the FBI Academy and served as a special agent with the FBI from 1986-1991. Attorney Schanbacher concentrates his practice in all aspects of family law including divorce, custody, support, prenuptial agreements and adoptions. Attorney Schanbacher has served two 3-year terms on council for the Pennsylvania Bar Association (PBA) Family Law Section, and is currently the 2nd Vice Chair of the PBA Family Law Section. Attorney Schanbacher was included in 2009-2016 editions of Who’s Who in America and Who’s Who in American Law. He is a frequent lecturer and author on family law topics for the PBA/PBI. He was named by his peers as a Select Lawyer in 2014 and 2015. He is a fellow of the American Academy of Matrimonial Lawyers (AAML). Lawyers practicing family law take up cases related to all sorts of family related issues. Besides this in addition they cope with normal cases relating to criminal laws, property related laws, probation law, trusts etc. A comprehensive family law firm needs Pennsylvania child custody lawyers, divorce attorneys, child support lawyers and more to handle the wide variety of cases. Numerous details have to be considered with regards to these cases as well as family lawyers are specialized in all the legal aspects involved with such cases. Numerous questions have a tendency to arise when a pair is getting separated officially or getting divorced. One is the procedure for getting separated having a minimum fuss, as getting separated or separated can by itself be a traumatic experience on the parties. Add to this a contesting from either party as well as the whole thing becomes rather messy to handle without an attorney to offer sufficient moral as well as professional support. One other important issue that should not be overlooked is the child custody and child support if any children exist as a consequence of the marriage. Even though the court finally approves all the aspects concerning the custody and support for the children, both the parties should be able to reach a decision even before filing the documents. Lawyers practicing family law would be capable to assist in such cases. Family lawyers would be capable to assist with the usual questions which may arise in such cases. Child support regulations vary in each state as the law is governed by each state independently with no input in the federal level. Certain issues like deciding the parent who’s liable to receive the receipt and the parent who’s supposed to pay for the support, calculation of the quantity of child support, etc. 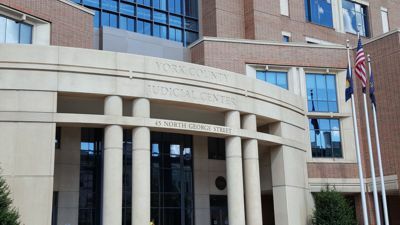 are the questions a York PA divorce attorney will be familiar with. Family lawyers may also be of the large aid if the encouraging parent is missing or if the payment isn’t on time, or in several instances when the individual doesn’t care enough for the court orders to cough up adequate quantity for the kid support. Deciding on other criteria like visitation rights, receipt of money if both the parents are in various claims, or when the child supporter is not able to make payments duly on time because of pecuniary problems. Concerned, Worried, or Scared about a Legal Matter? Contacting Blake & Schanbacher Law, LLC. Online Does Not Create an Attorney-Client Relationship. Blake & Schanbacher Law, LLC. does not agree to represent someone simply because they have sent information via our website's contact form. Information Sent Via Your Contact Form Is Not Confidential. Although our website uses a Secure Socket Layer encryption certificate, do not send sensitive or confidential data through our contact form. There are inherent risks with sending information of any kind over the Internet.